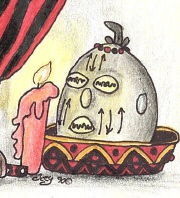 Captions: These captions are literal transcriptions from the English translations on the back of the cards in the collection. 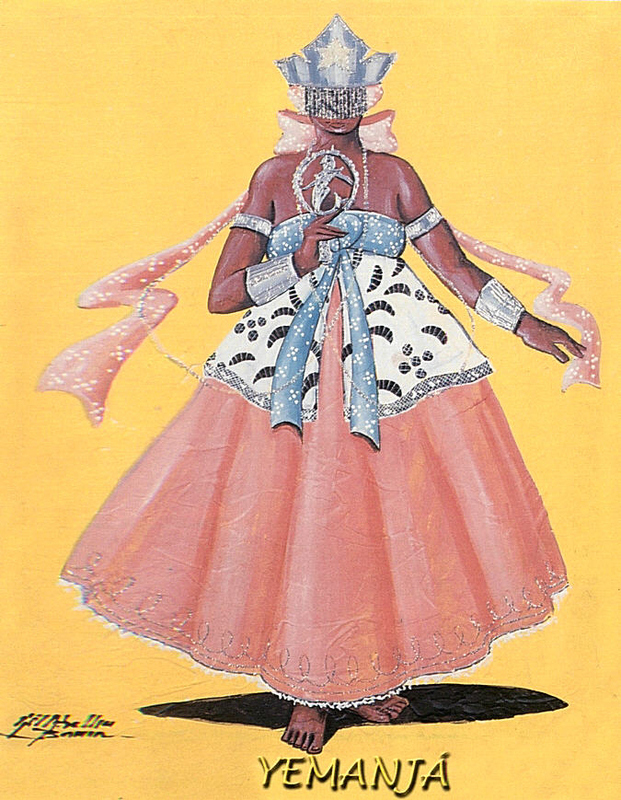 An incredible collection of postcards from Bahía. 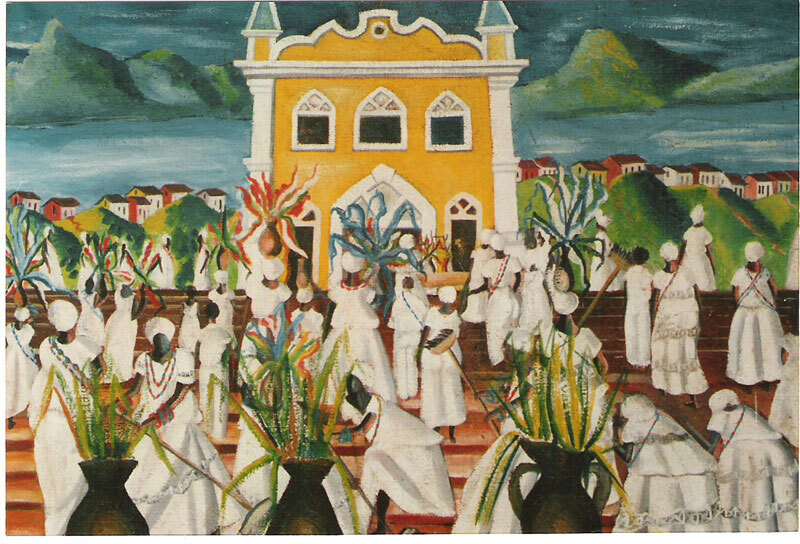 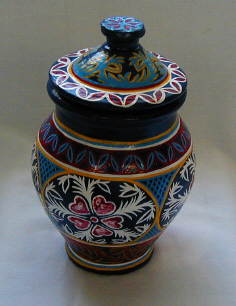 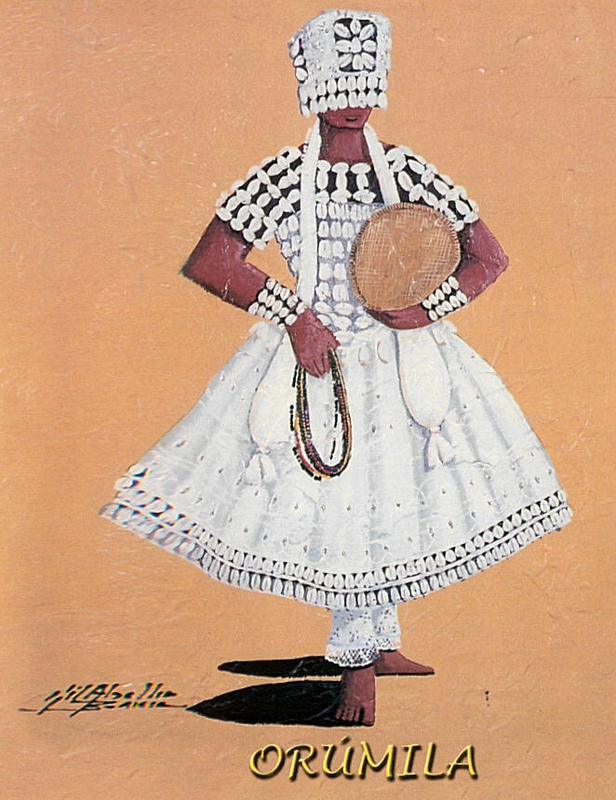 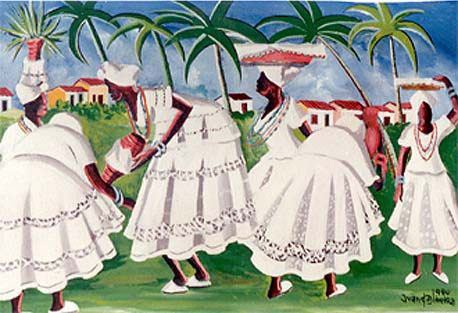 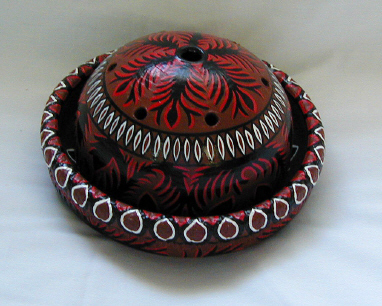 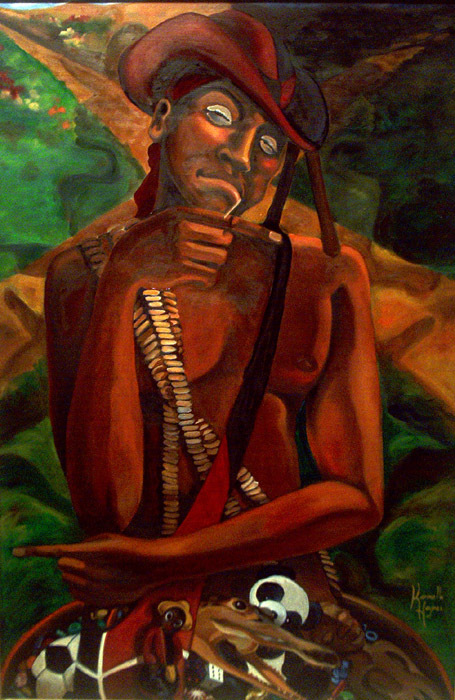 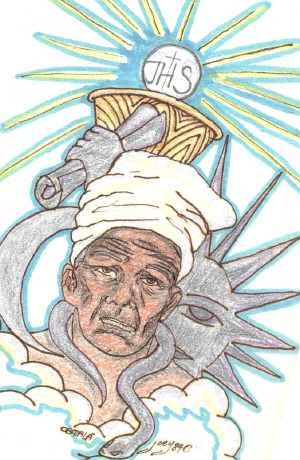 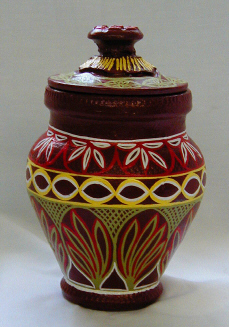 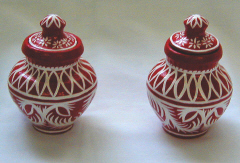 Jesús Cárdenas is a veteran painter of Orisha jars and attributes in Cuba. 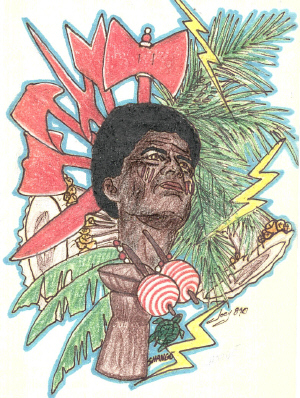 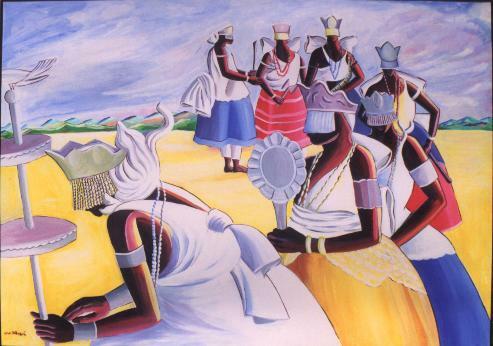 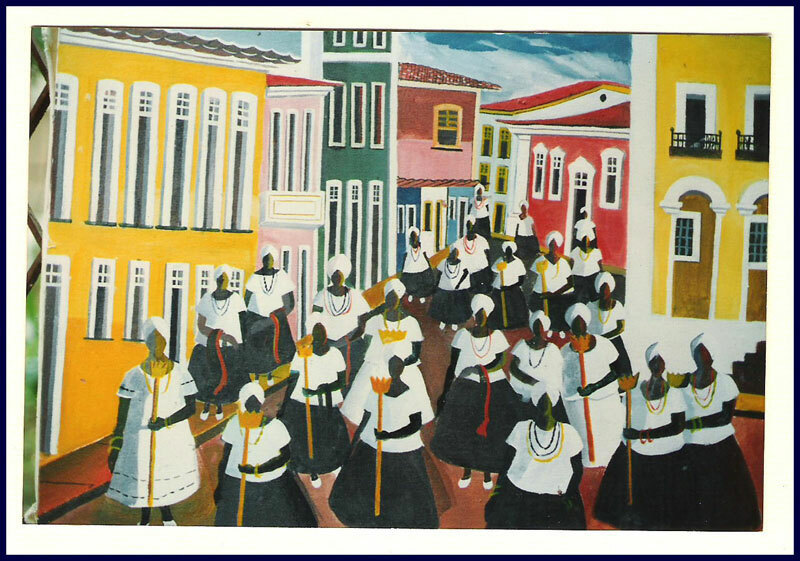 His work is fairly well known in Havana and is now being brought to the United States by Olorishas who visit the island. 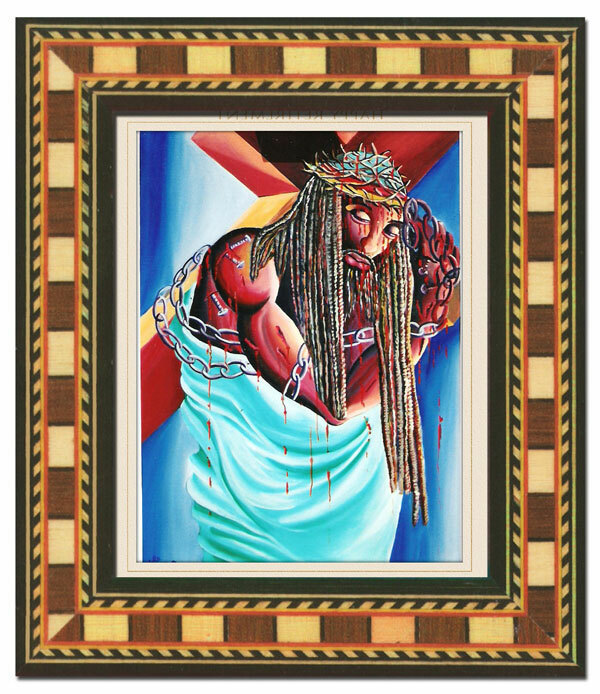 Though he has been surrounded by the religion all his life, Jesús is not ordained. 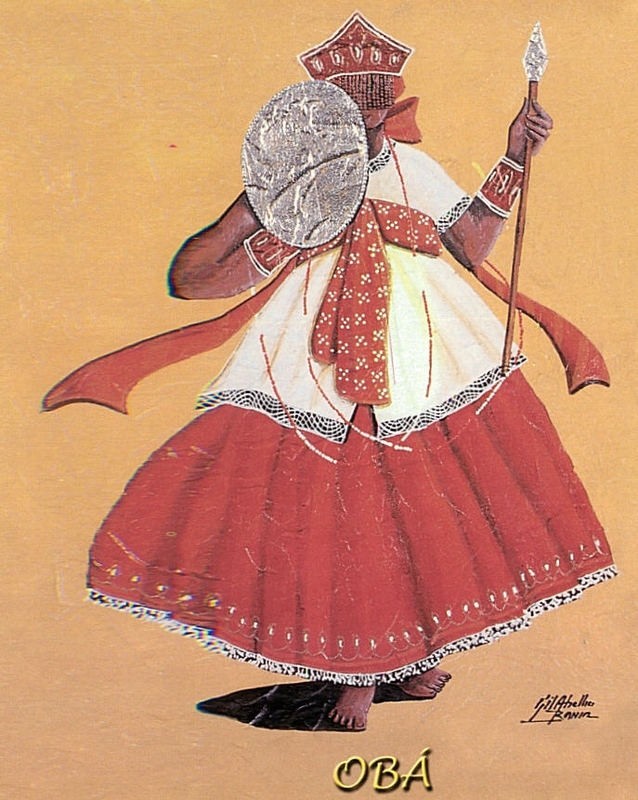 His mother, Magdalena “Chiquitica” Ruíz, Oyá Gadé, one of the oldest Iyalorishas in Cuba, ordained my grandmother Oshún Ilarí and Obá Oriaté Anibal Guerrero, Okán Tomí. 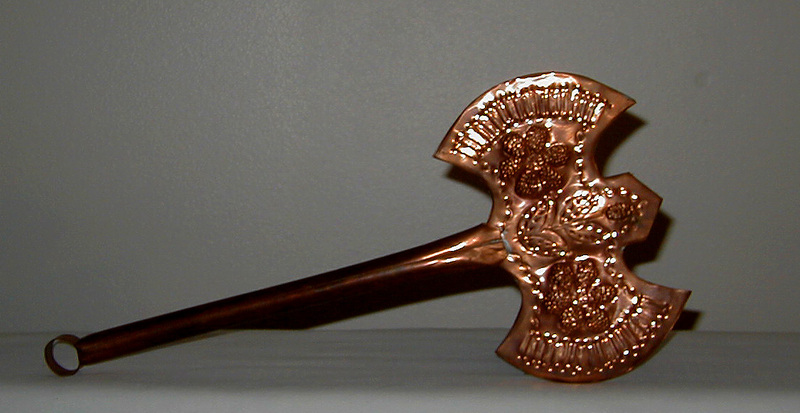 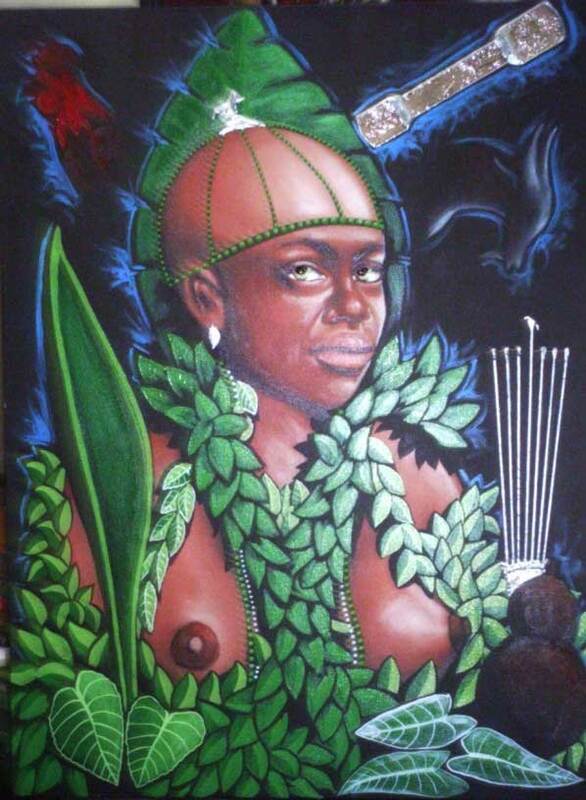 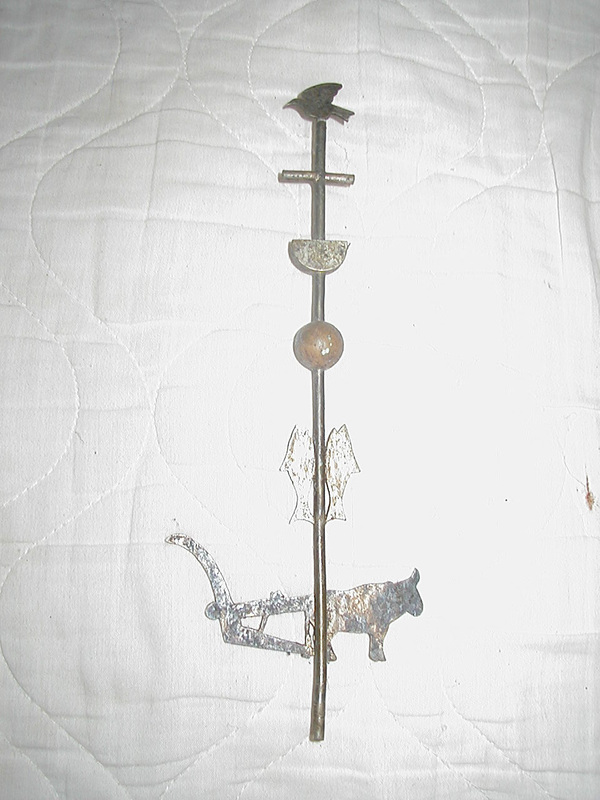 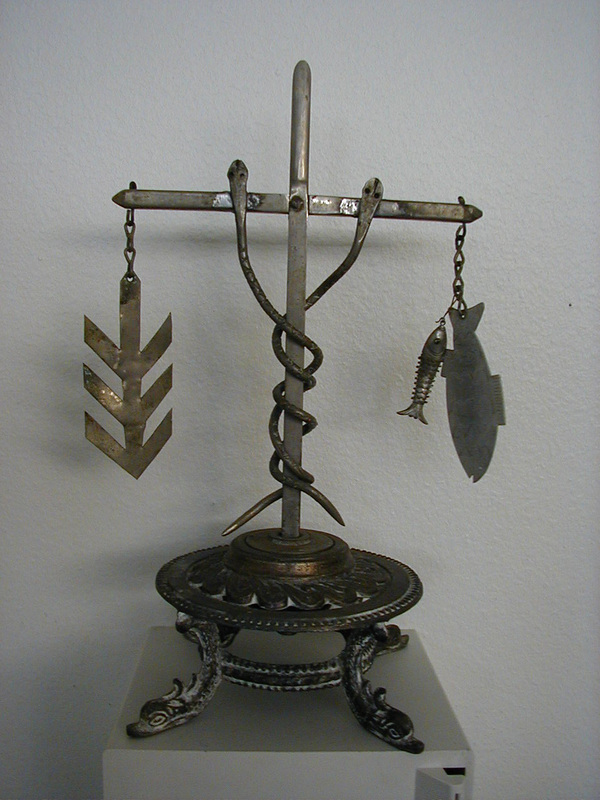 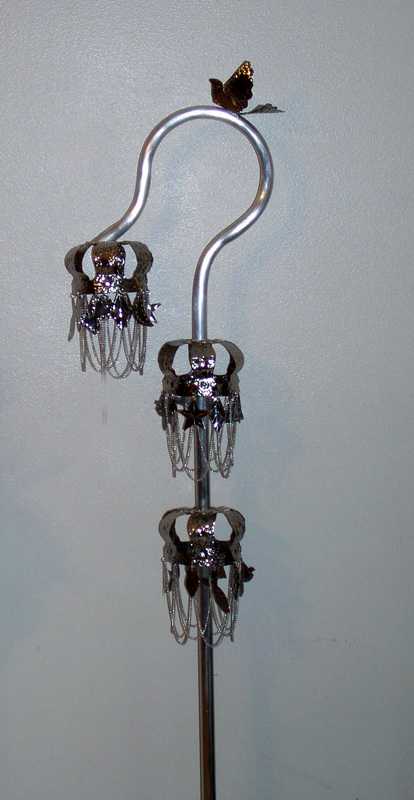 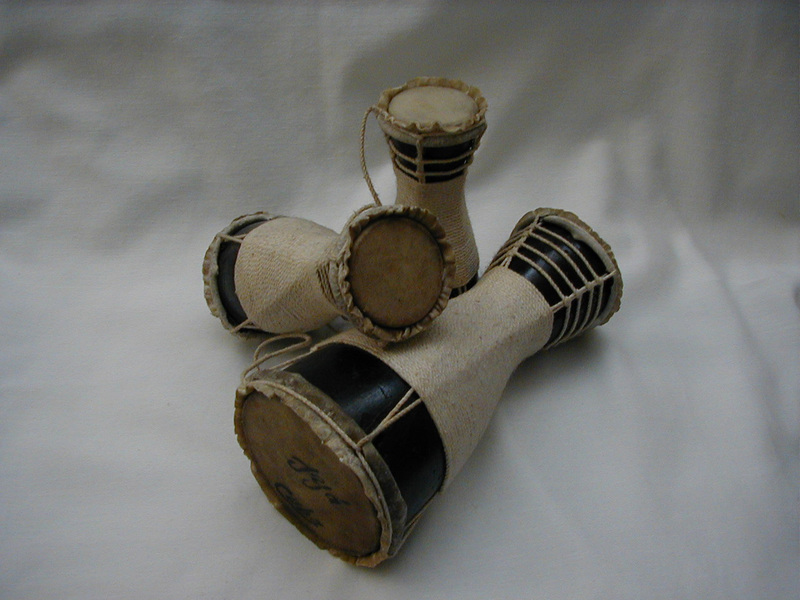 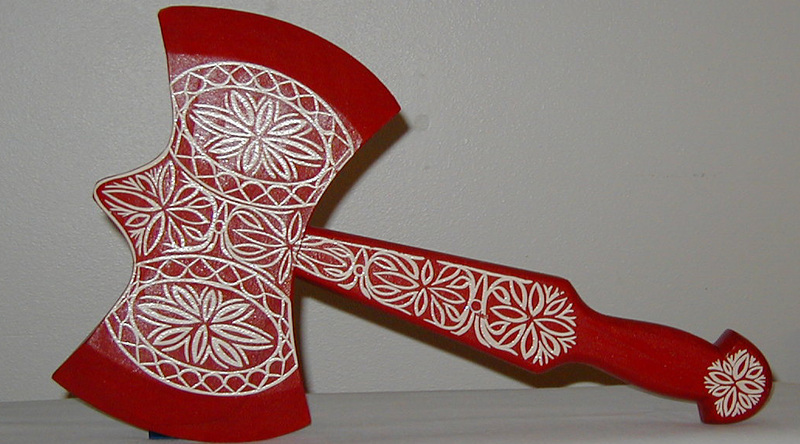 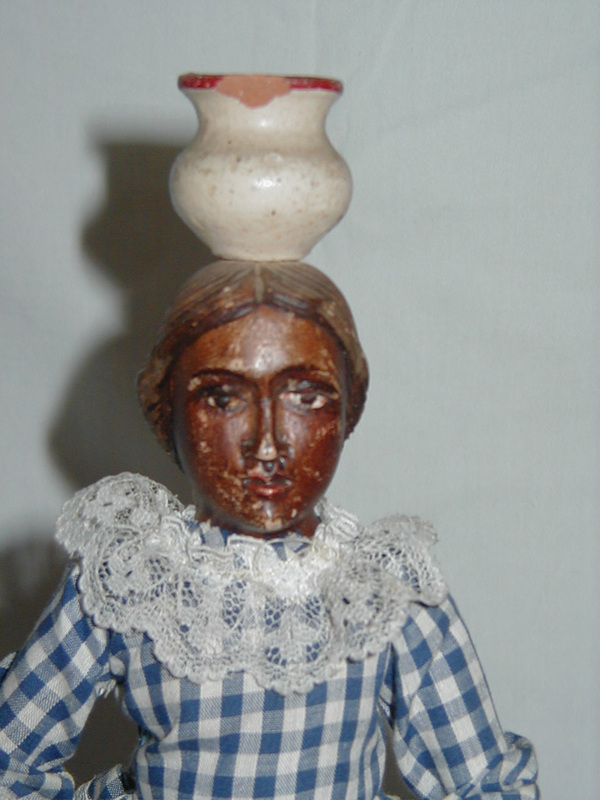 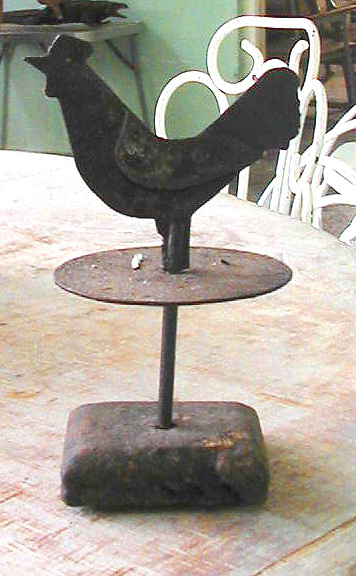 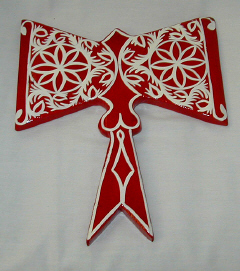 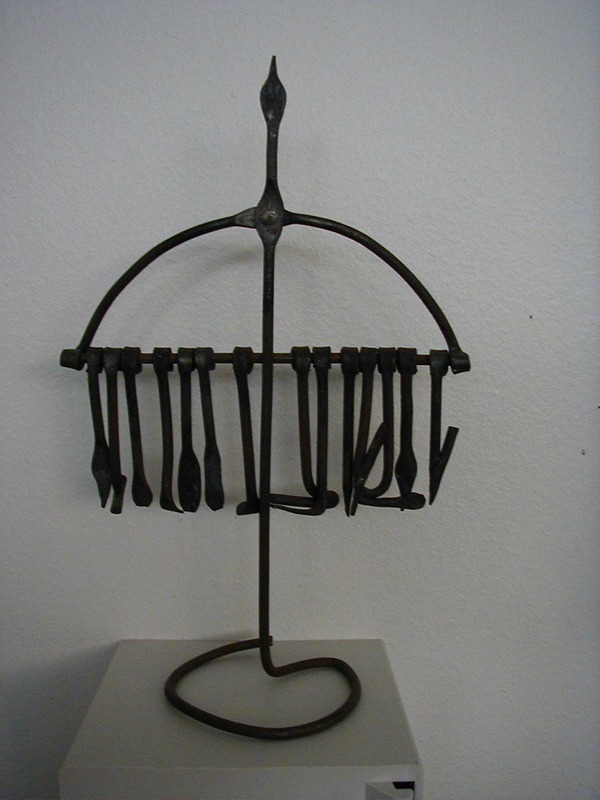 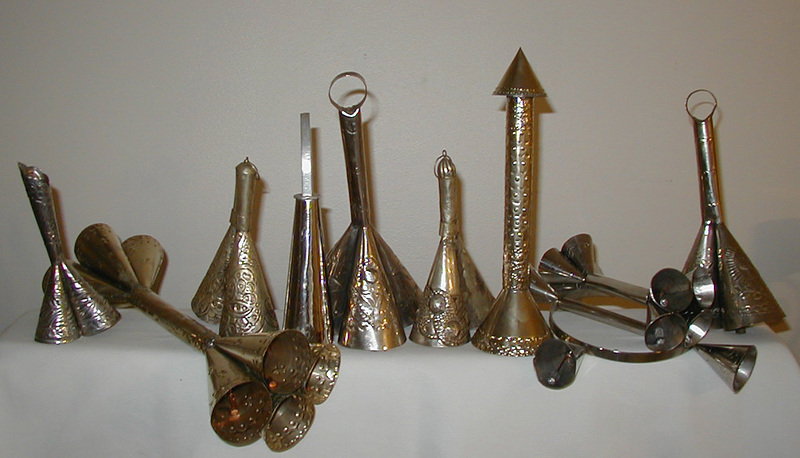 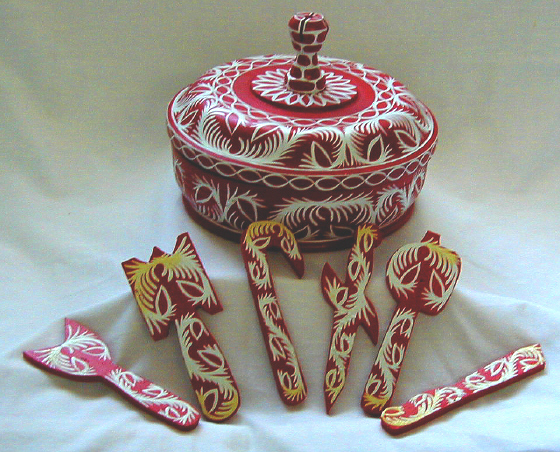 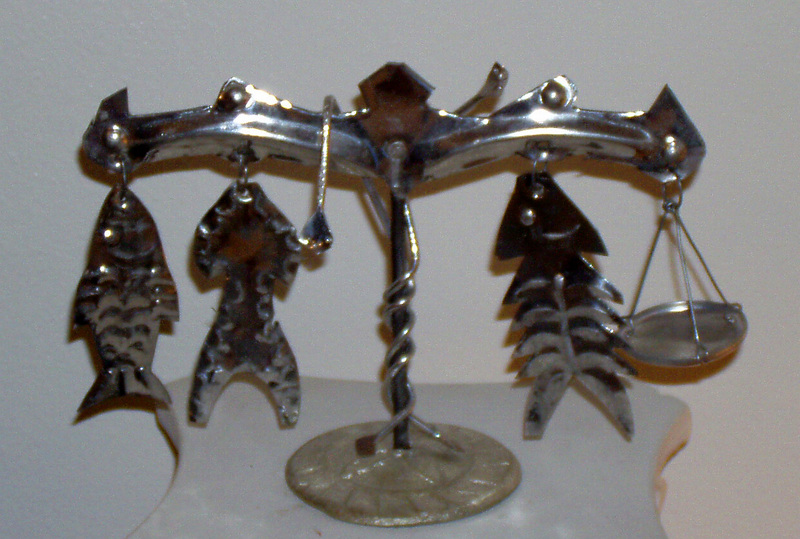 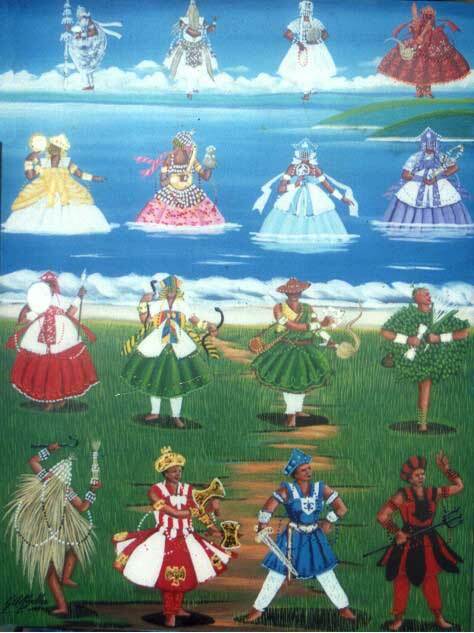 Part of an orishas paraphernalia includes metal or wooden implements that olorishas call herramientas, or tools. 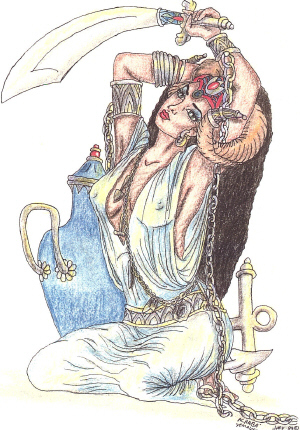 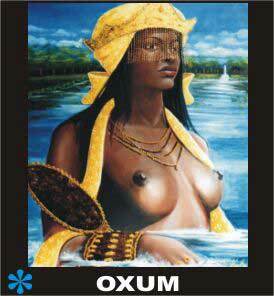 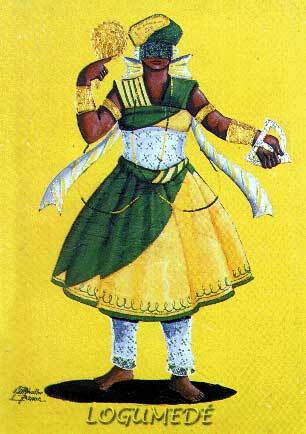 As implied by the word, herramientas empower an orisha. 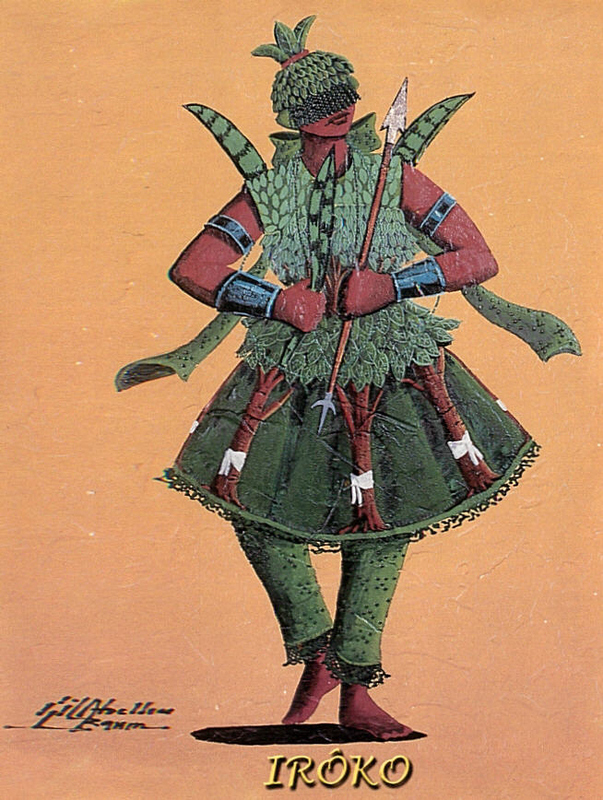 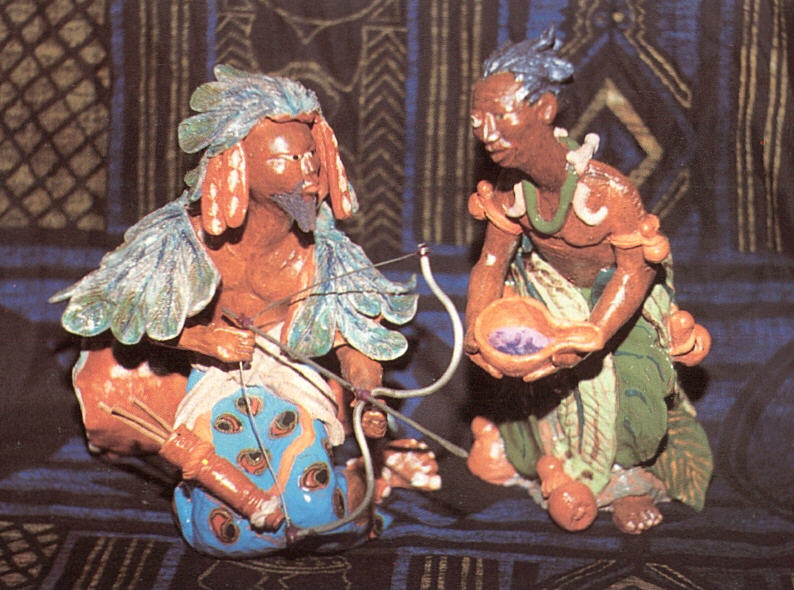 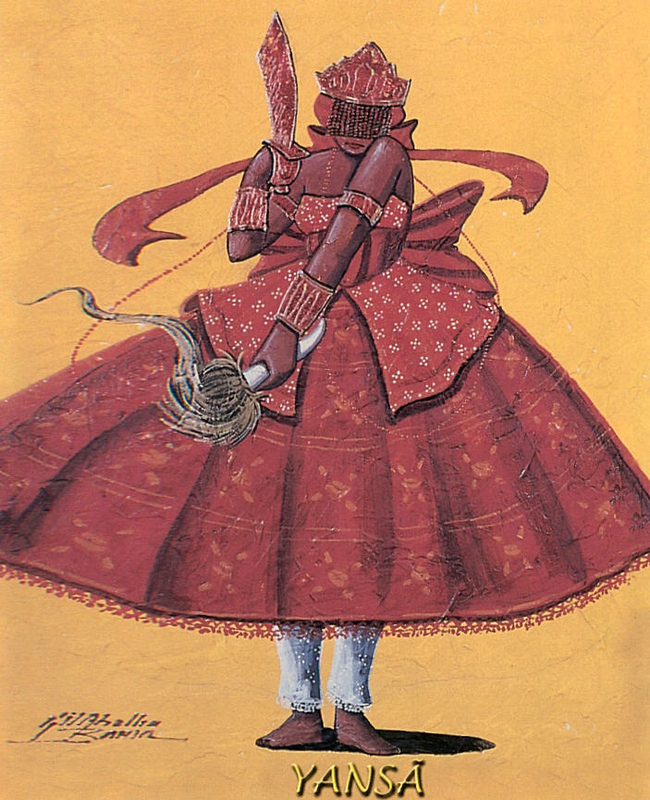 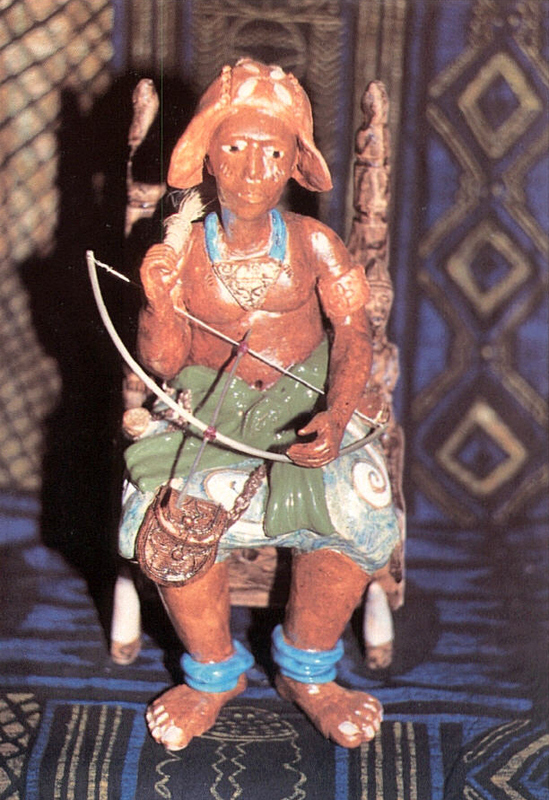 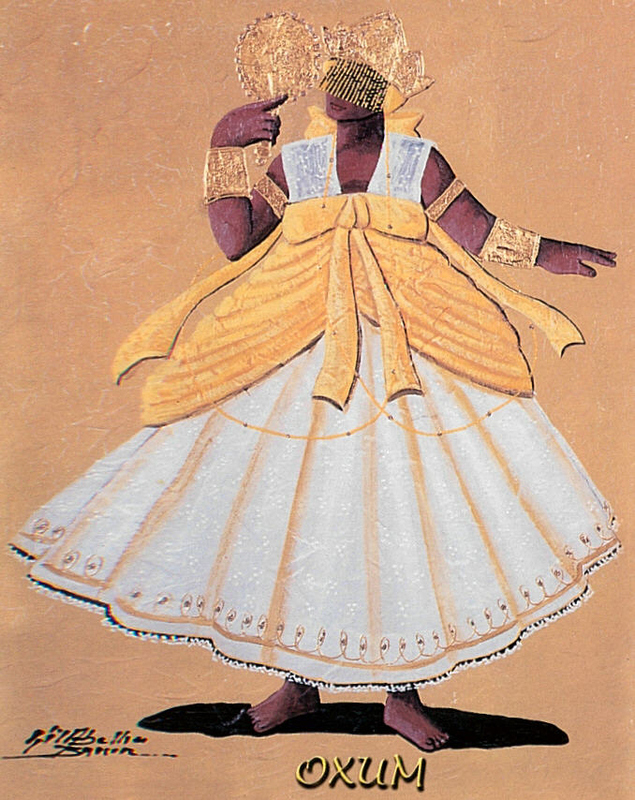 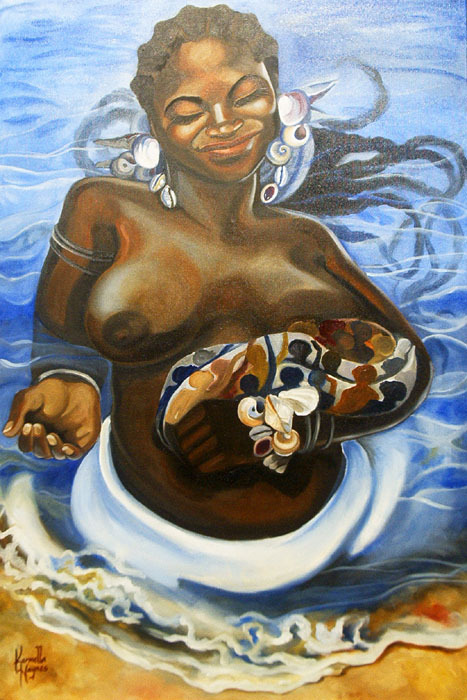 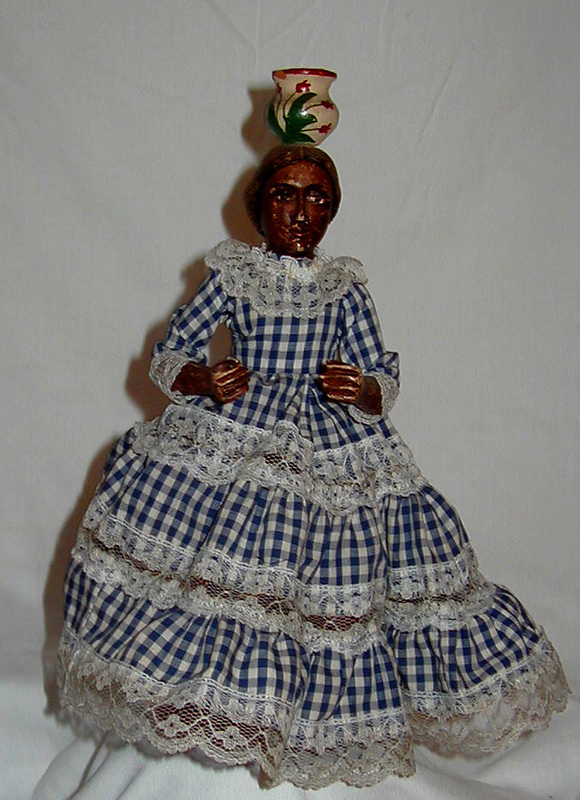 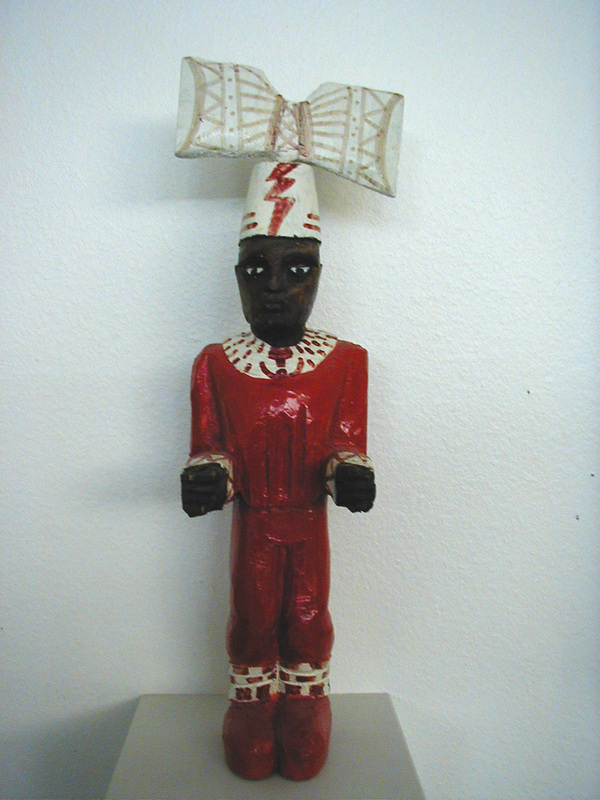 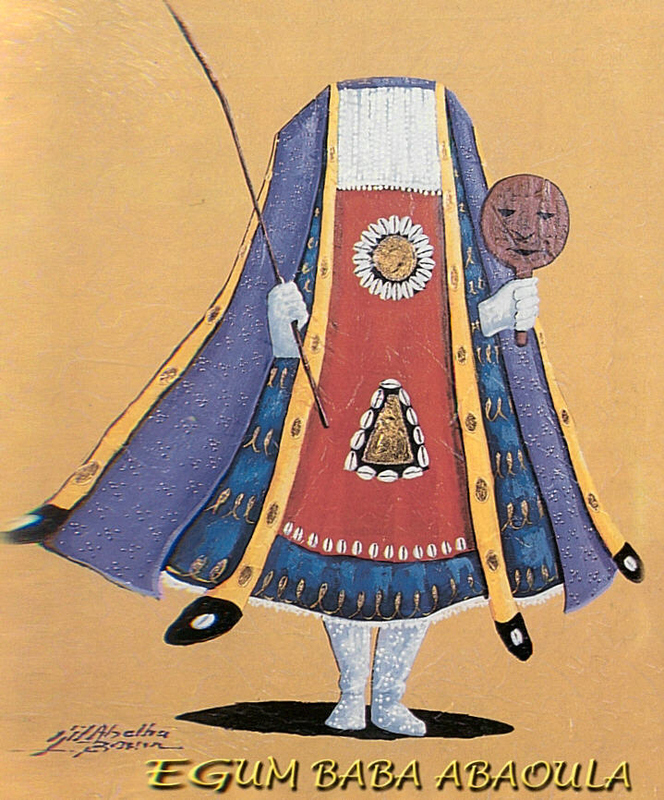 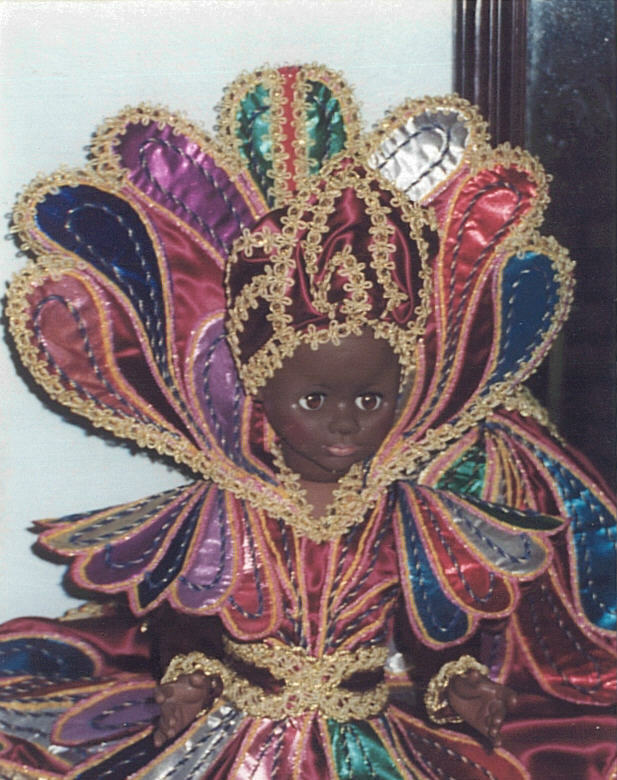 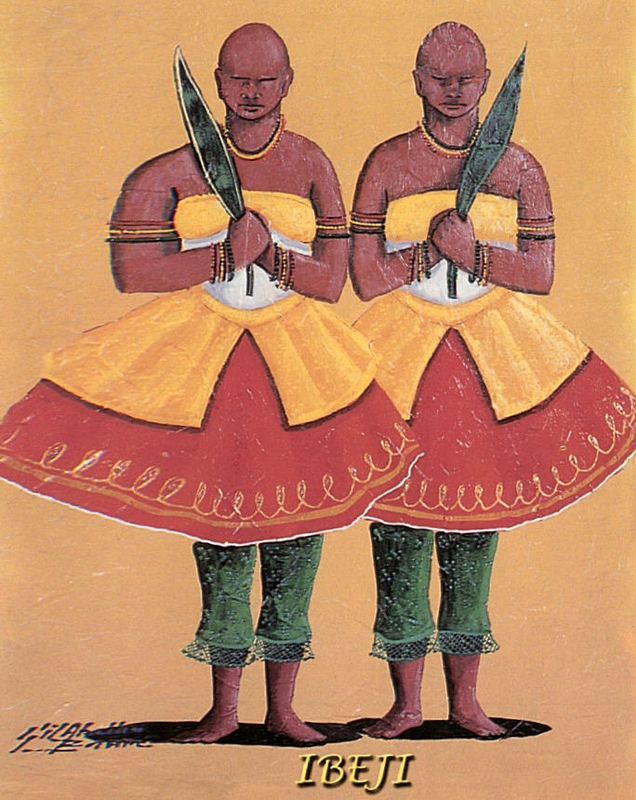 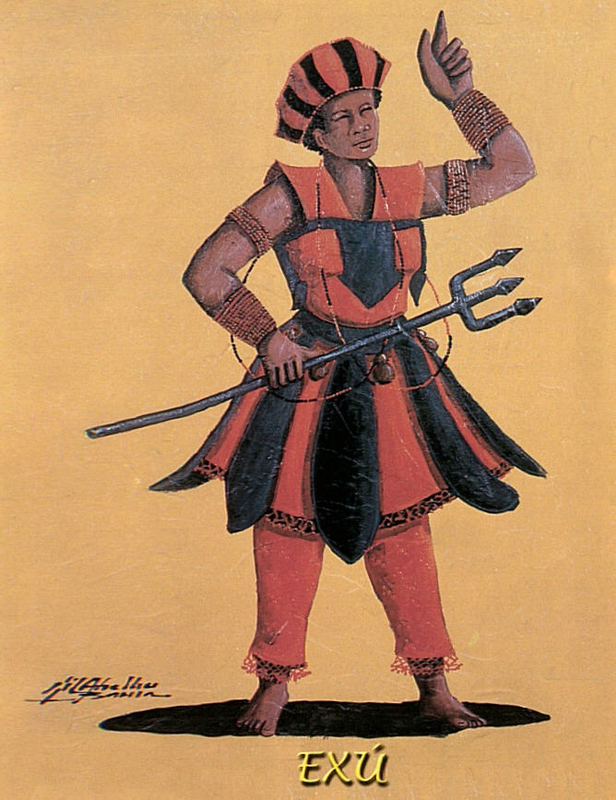 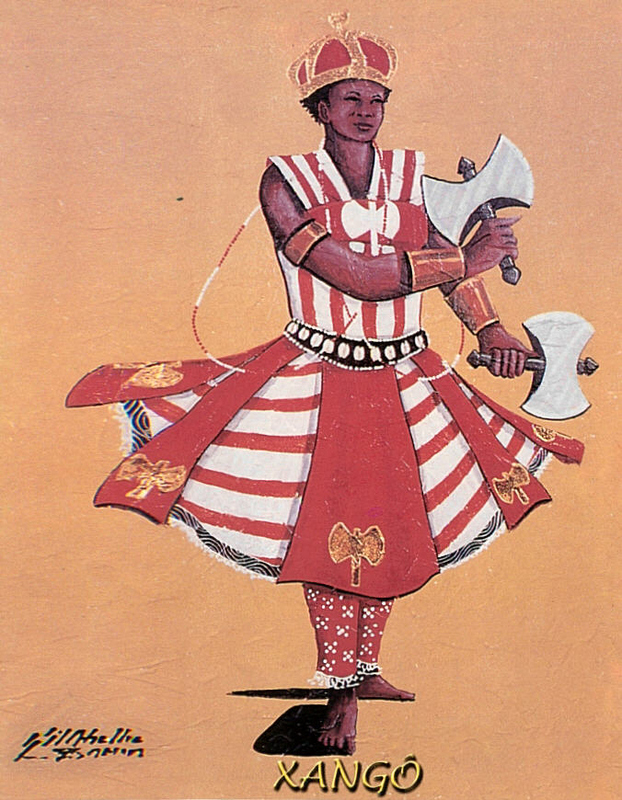 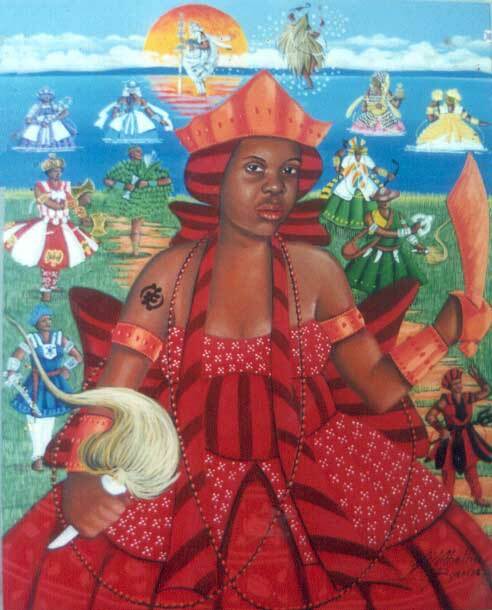 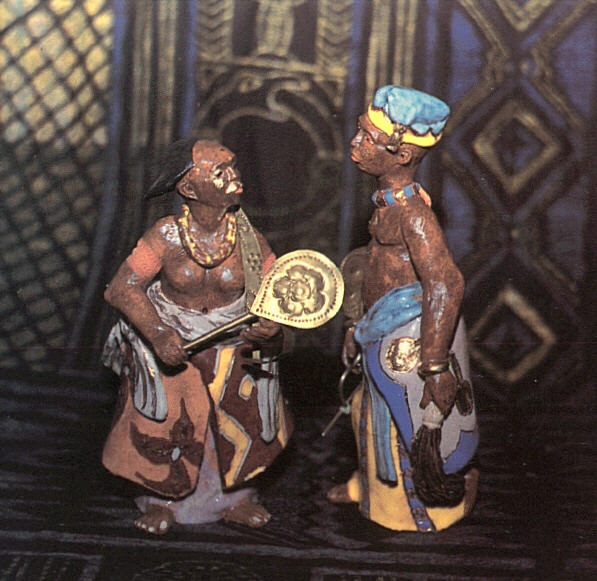 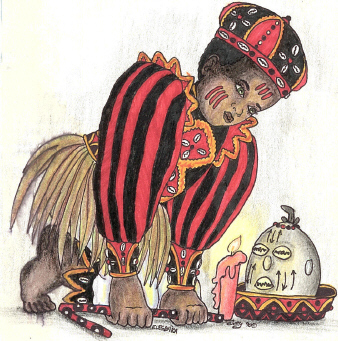 Although many elements encountered by the Lukumi in the New World were adopted and reinterpreted for and in their relationship to the orishas, this art form was not created in the Americas. 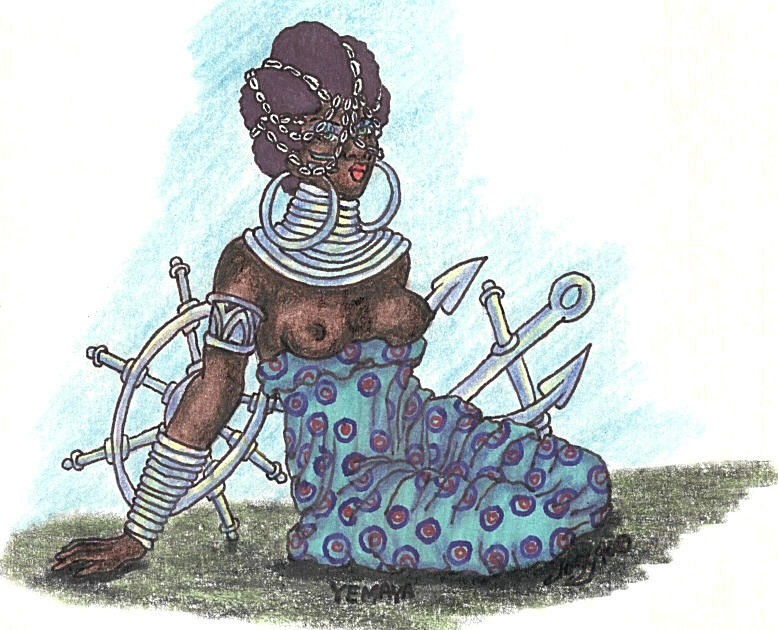 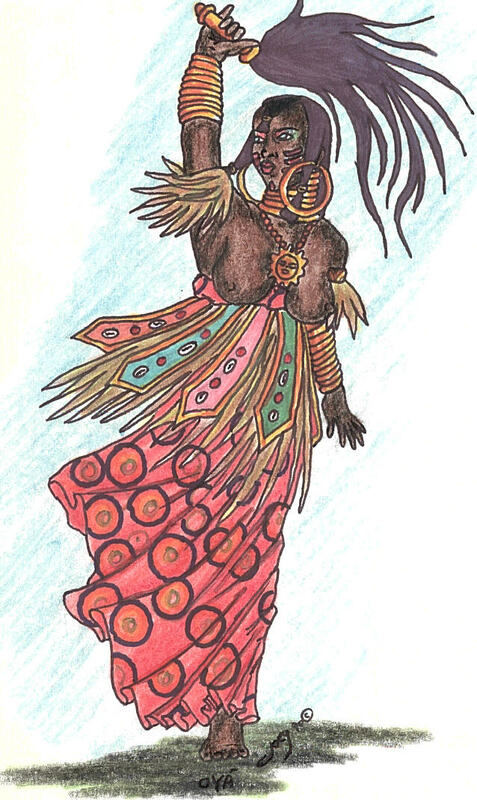 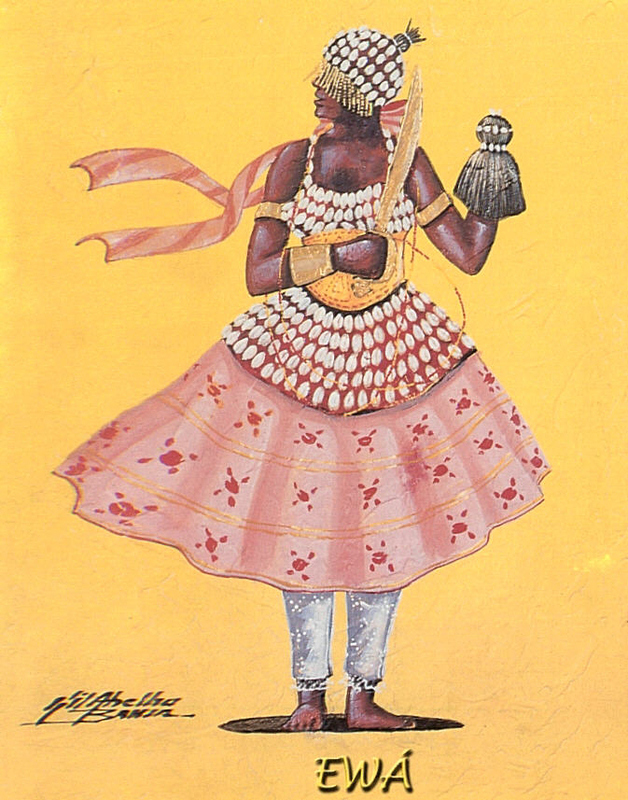 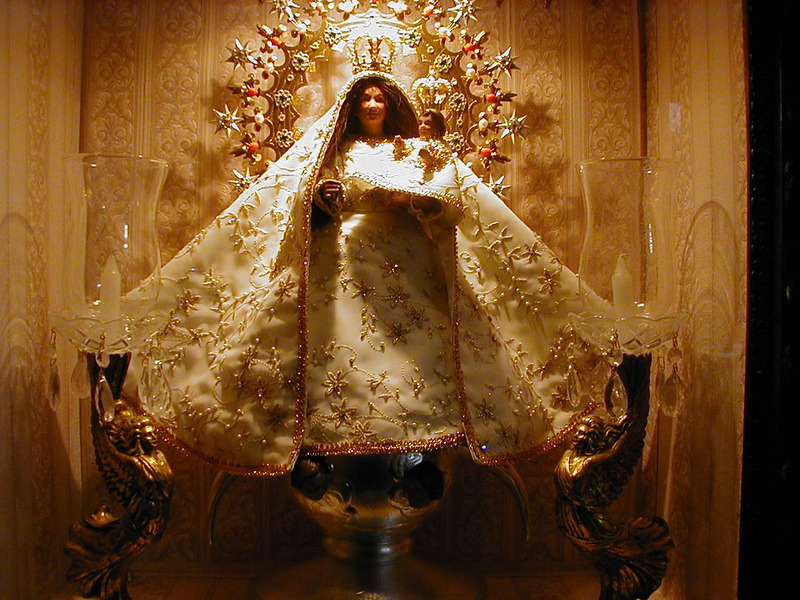 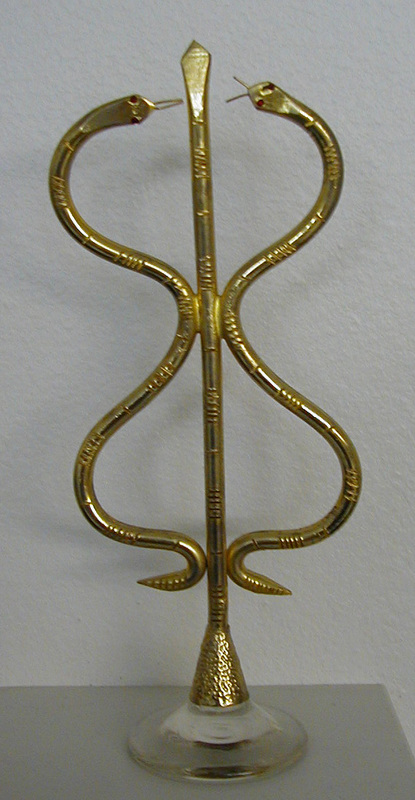 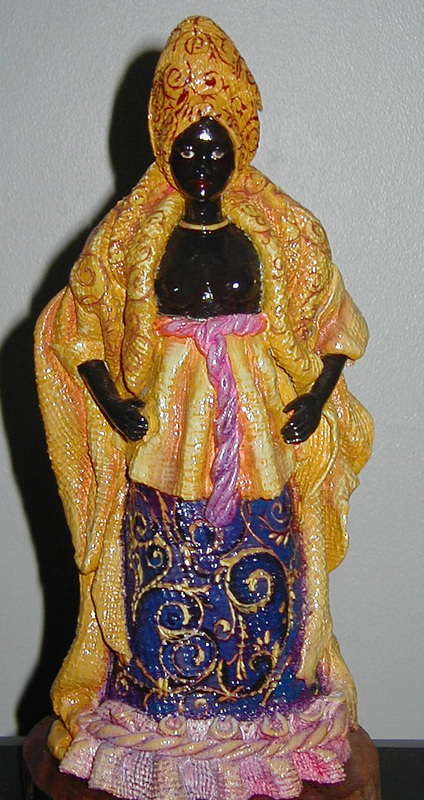 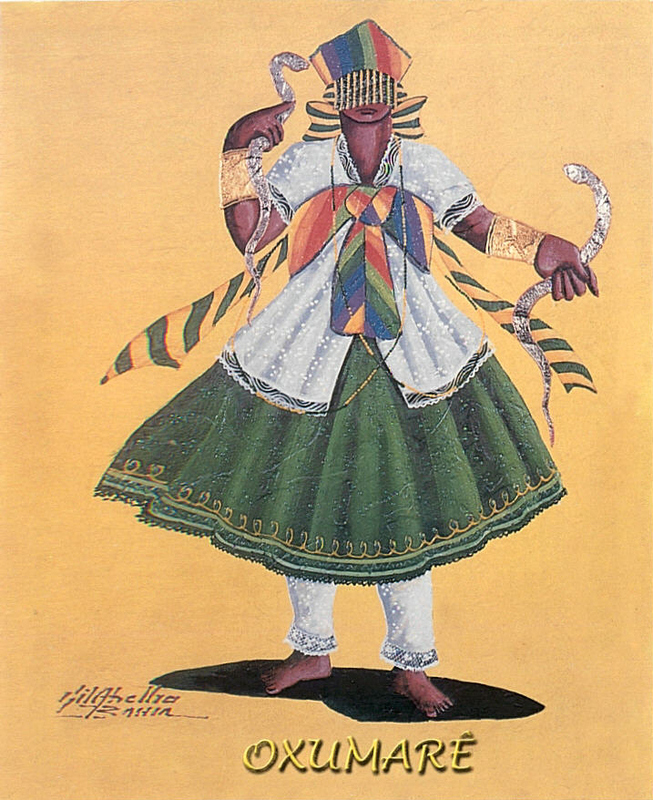 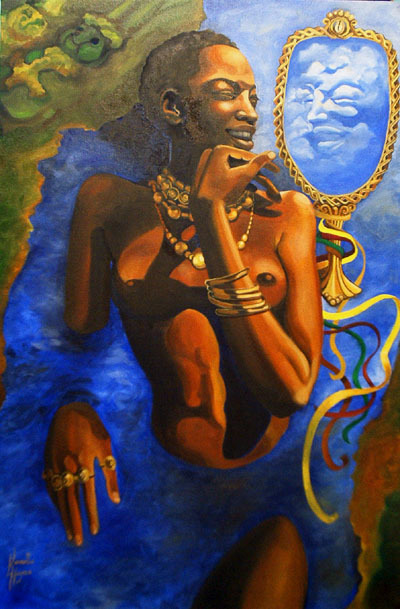 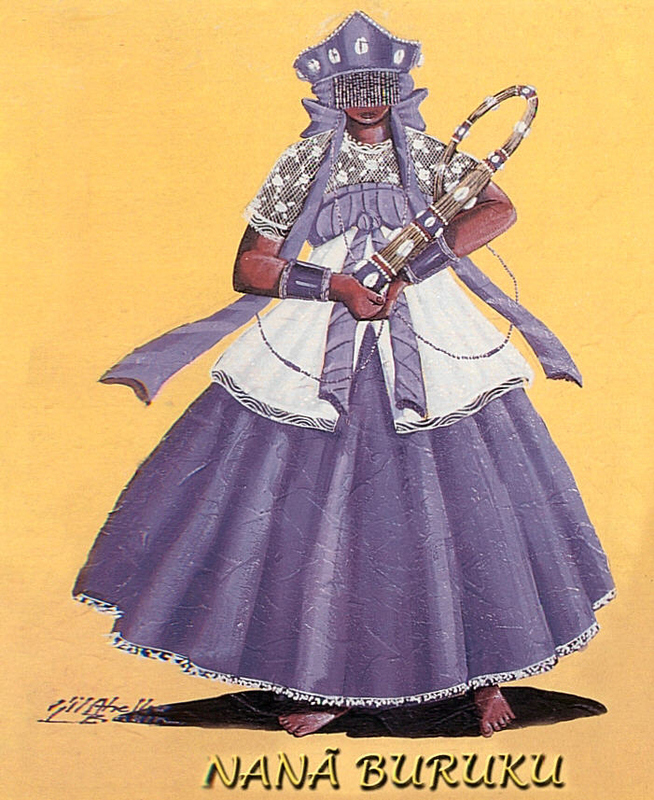 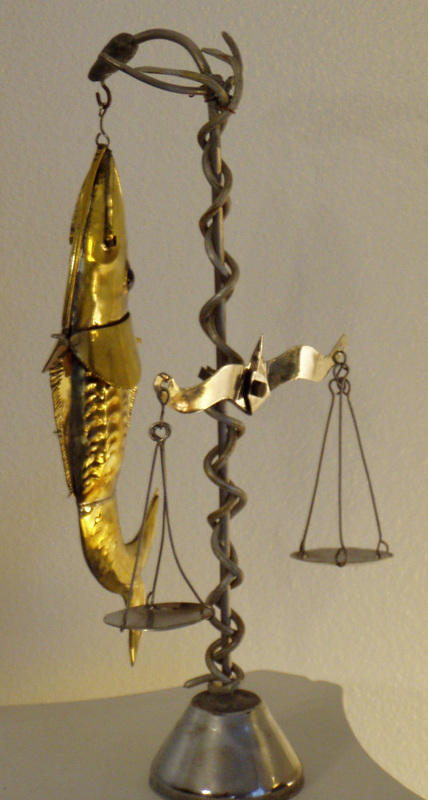 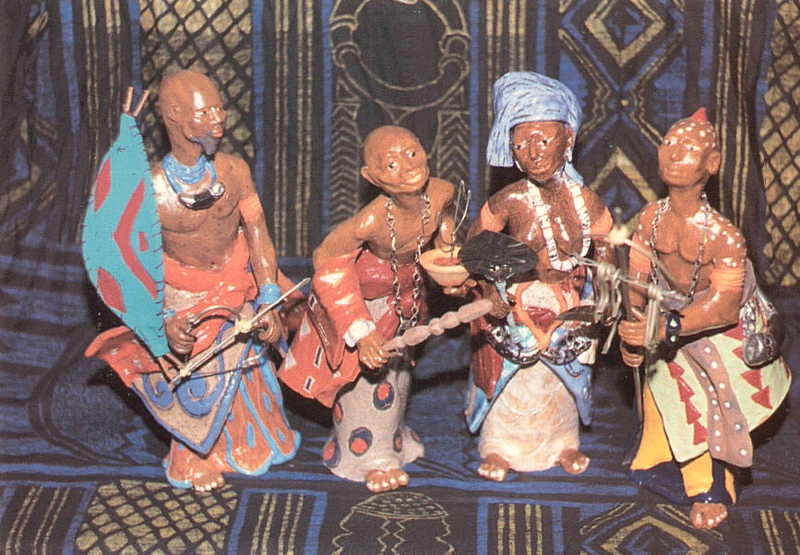 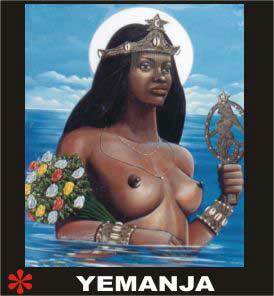 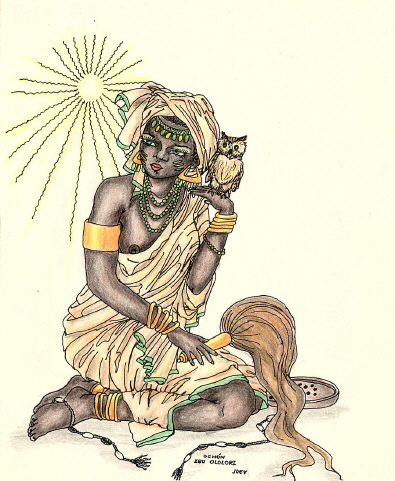 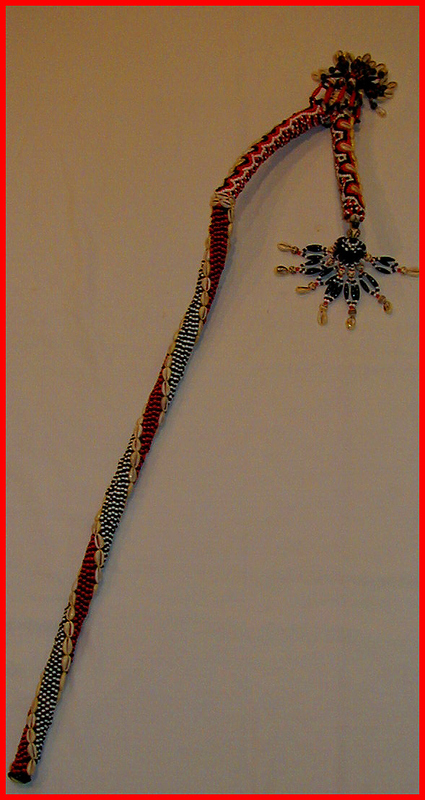 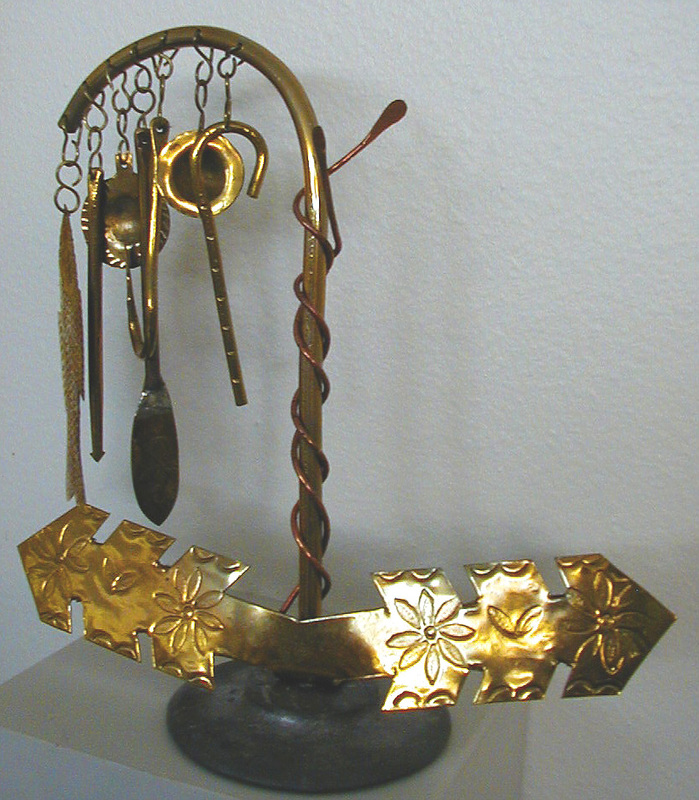 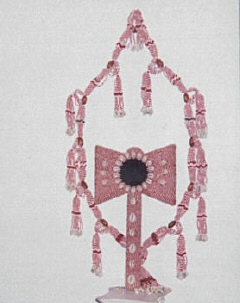 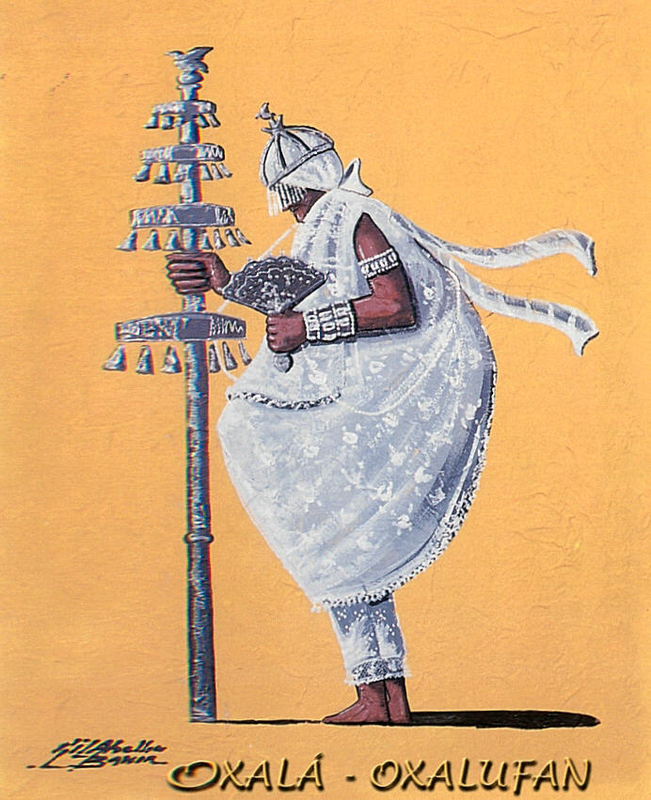 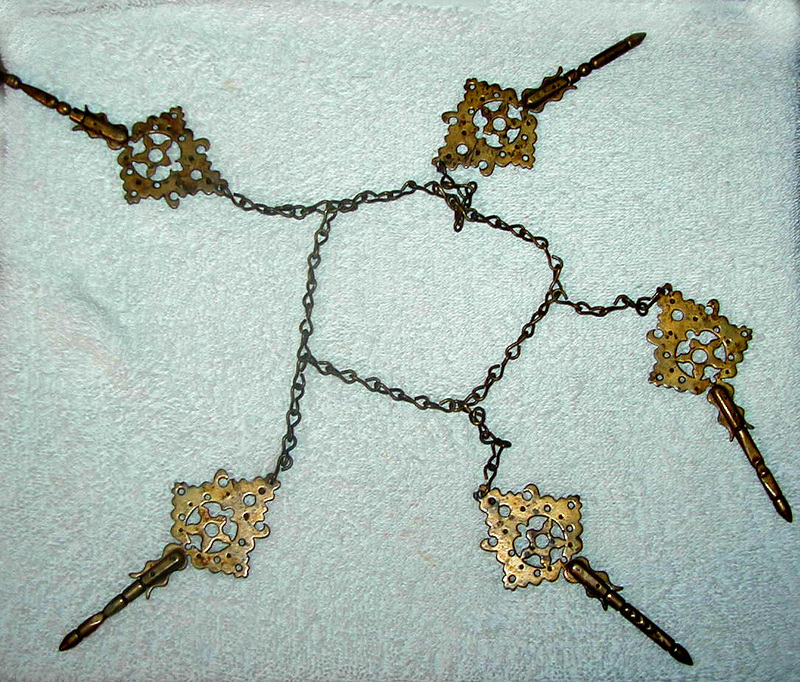 Many elements that conform an orishas herramientas have counterparts in Yorubaland, for example, Oshun’s edan, similar to those used by the Yoruba Ogboni society; Shango’s oshe, a double-headed axe; and the ashabas, charm chains used by various orishas that are reminiscent of the shabas used by Yoruba hunters and hunting deities and the pencas used in Brazilian Candomble, Lukumi religion’s Brazilian sister. 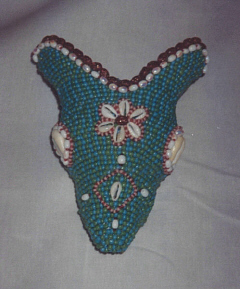 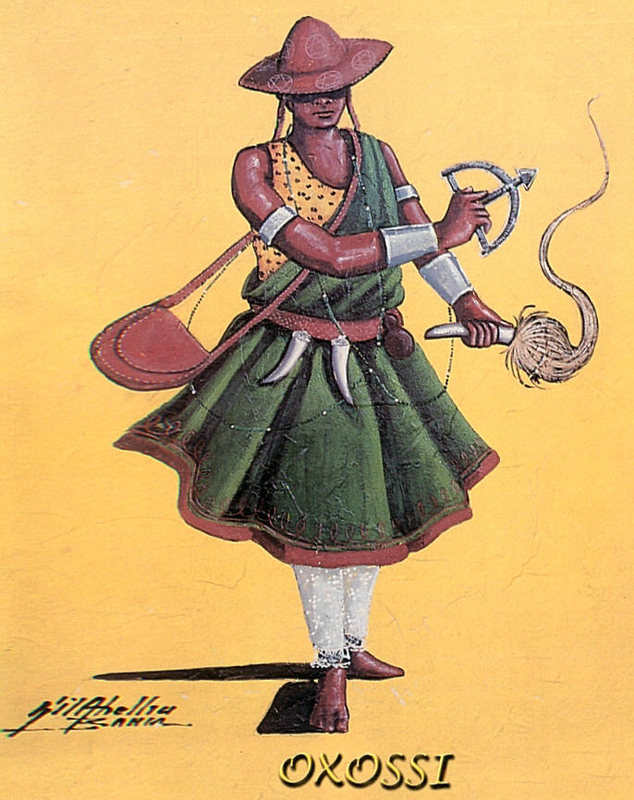 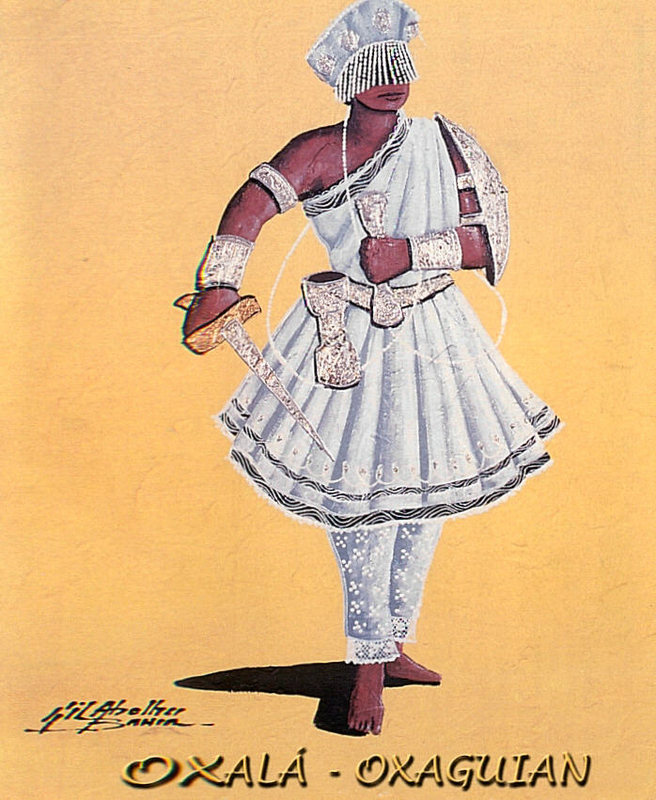 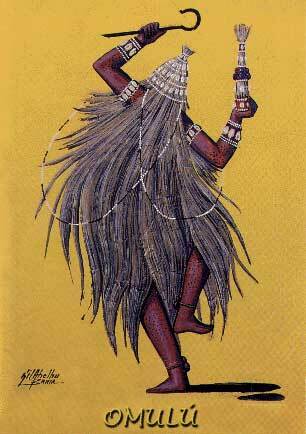 Nonetheless, many Western aesthetic elements have been adopted and adapted by the Lukumi. 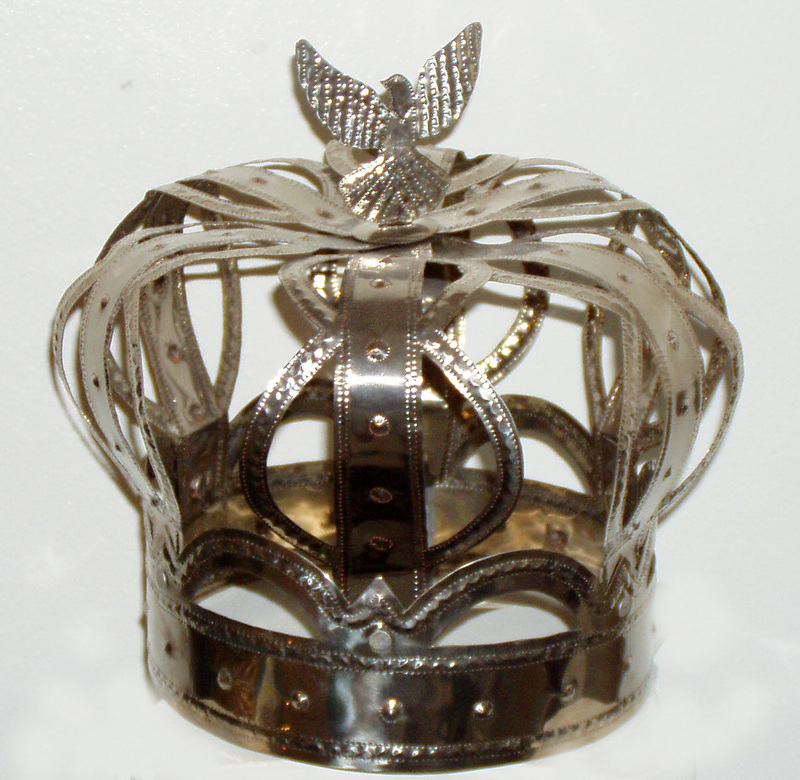 For example, the Lukumi manufacture and use metal Western-style crowns, reminiscent of those worn by the colonial European monarchs. 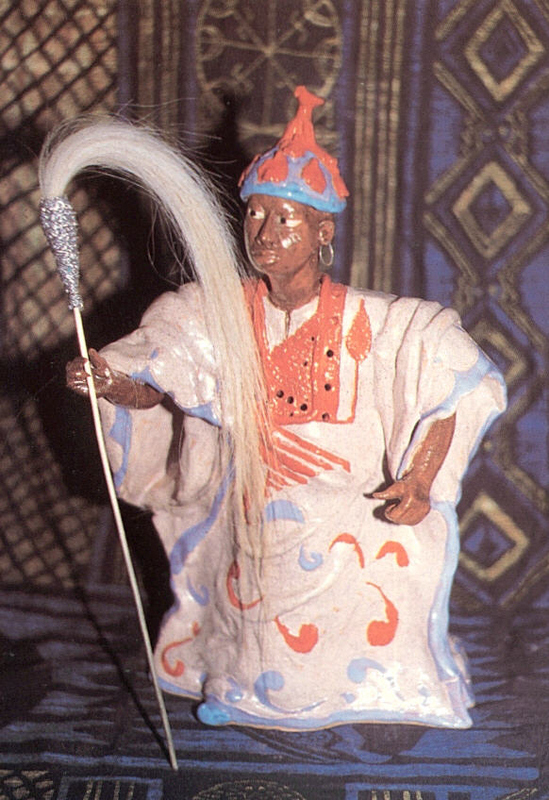 These crowns replaced the more traditional, cone-shaped, beaded crowns typical of the Yoruba. 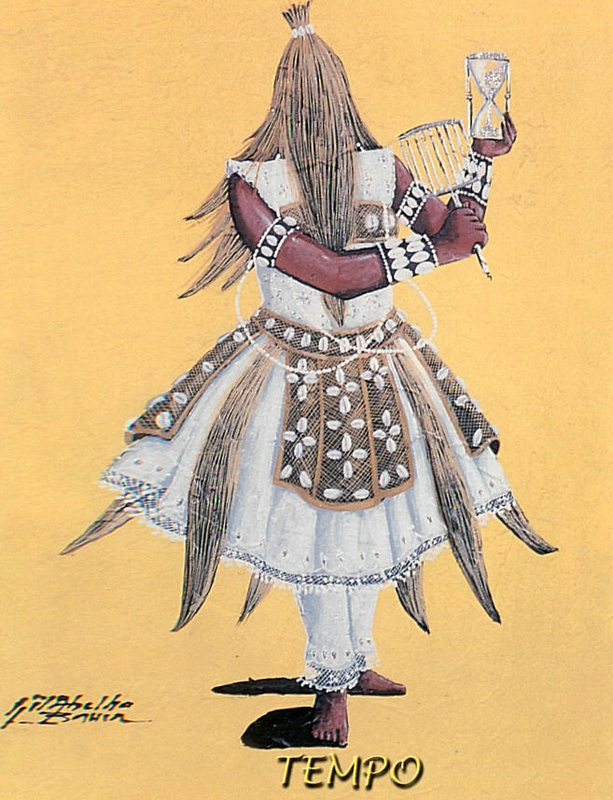 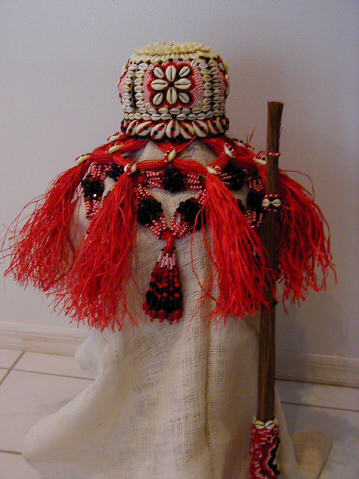 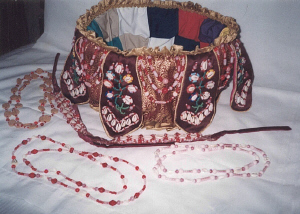 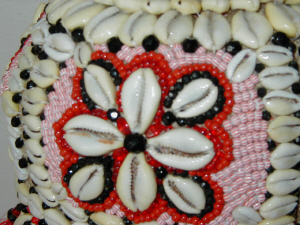 Instead of the beaded fringes seen in Yoruba crowns, different tools and attributes cling from the crown that are related with the orisha for whom the crown is destined. 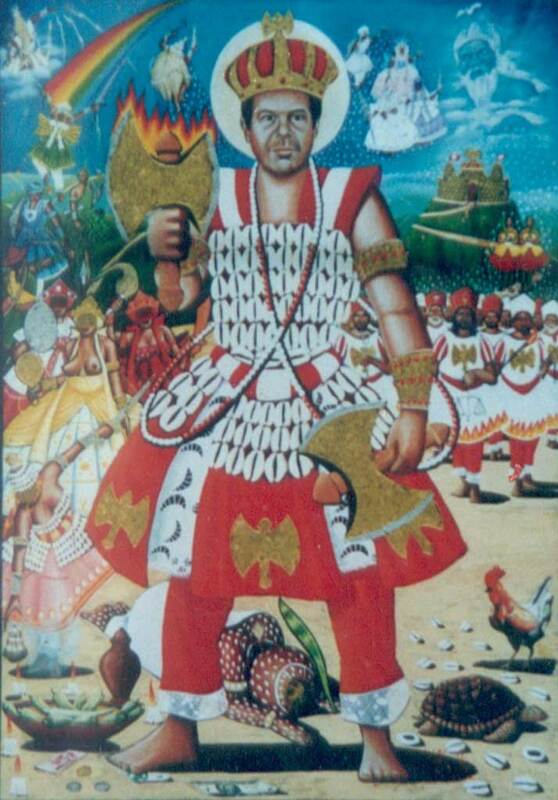 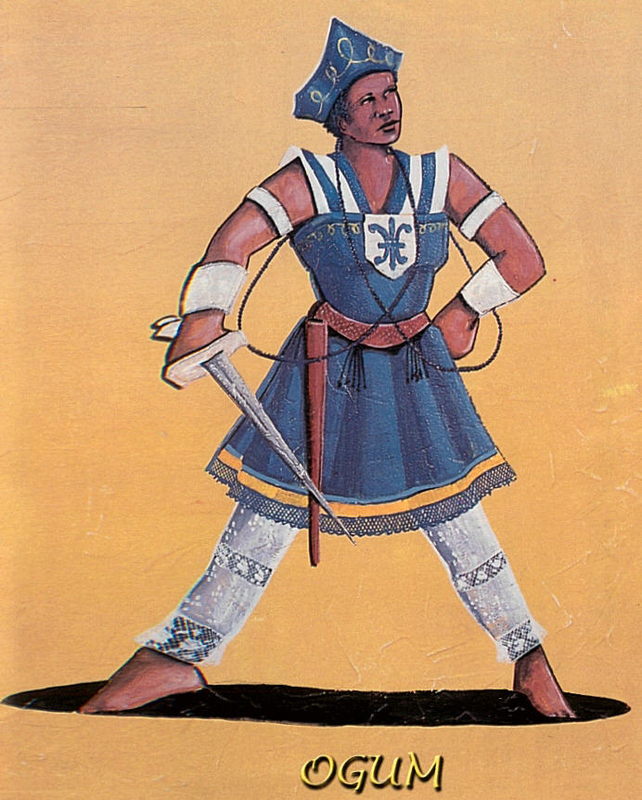 Cunningly, the Lukumi appropriated and reinterpreted many symbols, some of which were markers of status, from the new society. 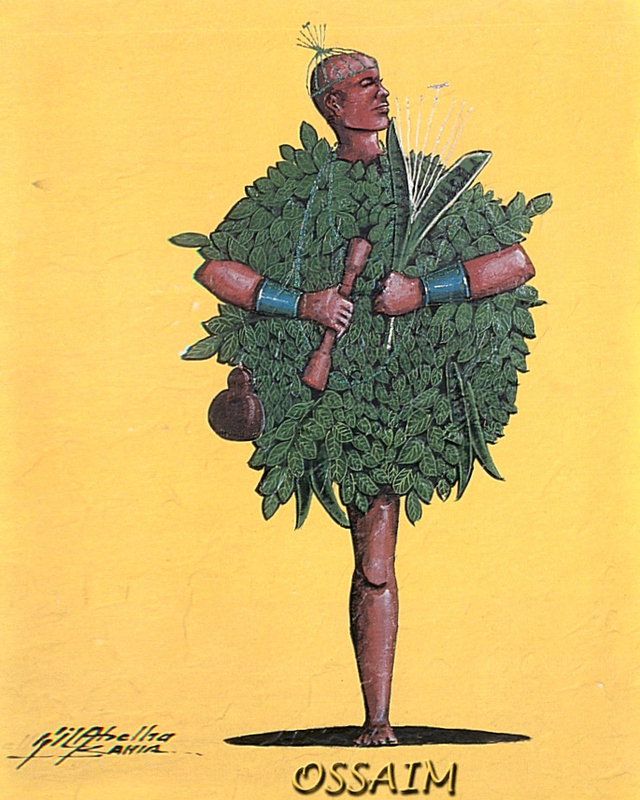 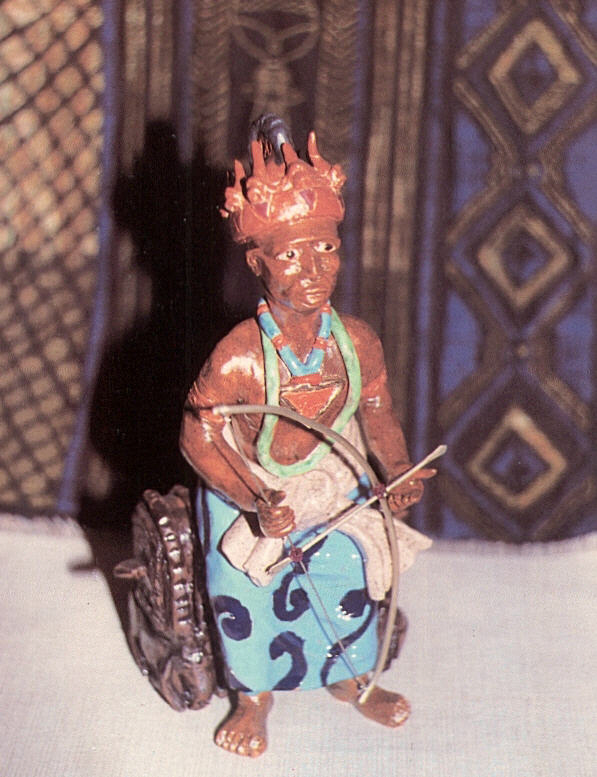 The symbol for Orishaoko, the god of agriculture, thus became a replica of an ox-drawn plow, with a parasol in its rear section to protect the farmer from the insolence of the Caribbean sun. 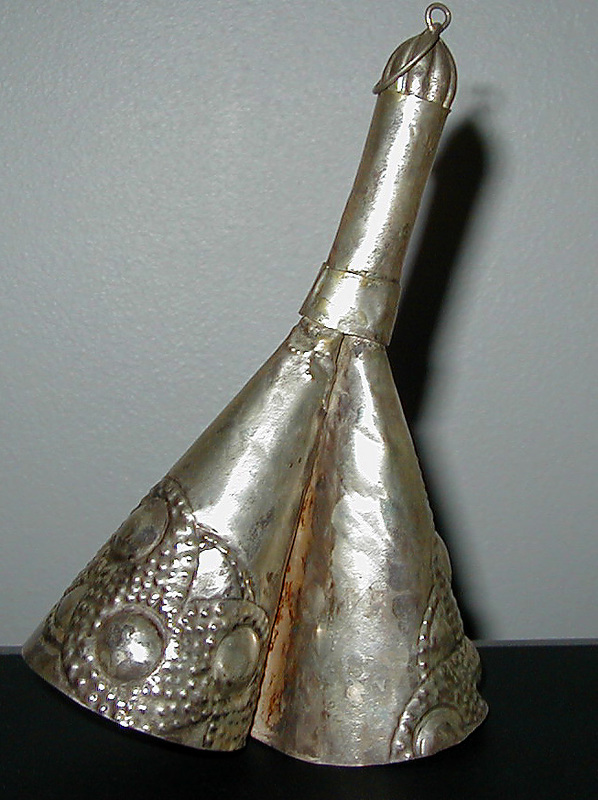 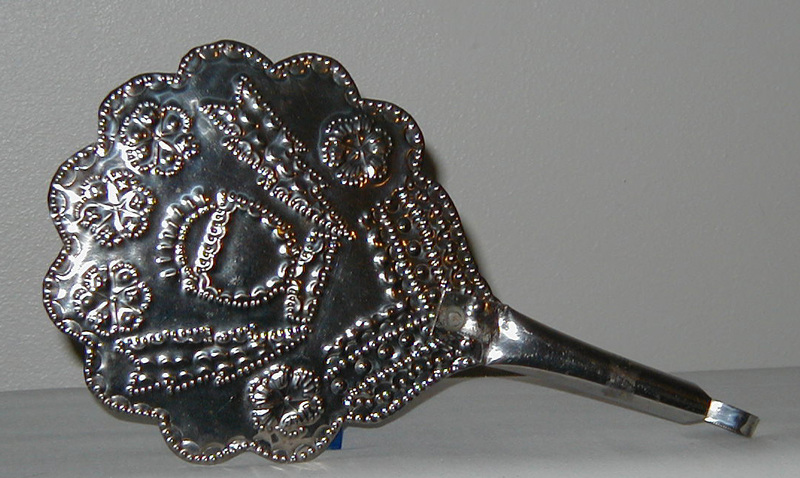 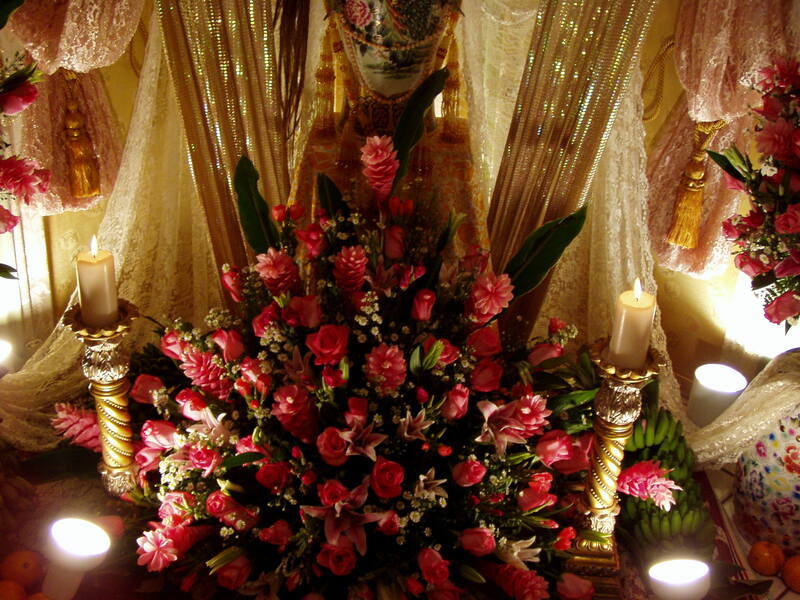 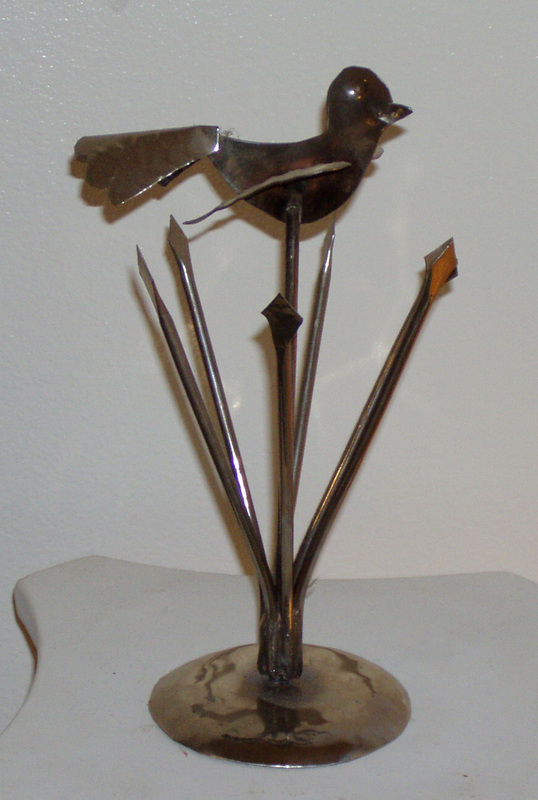 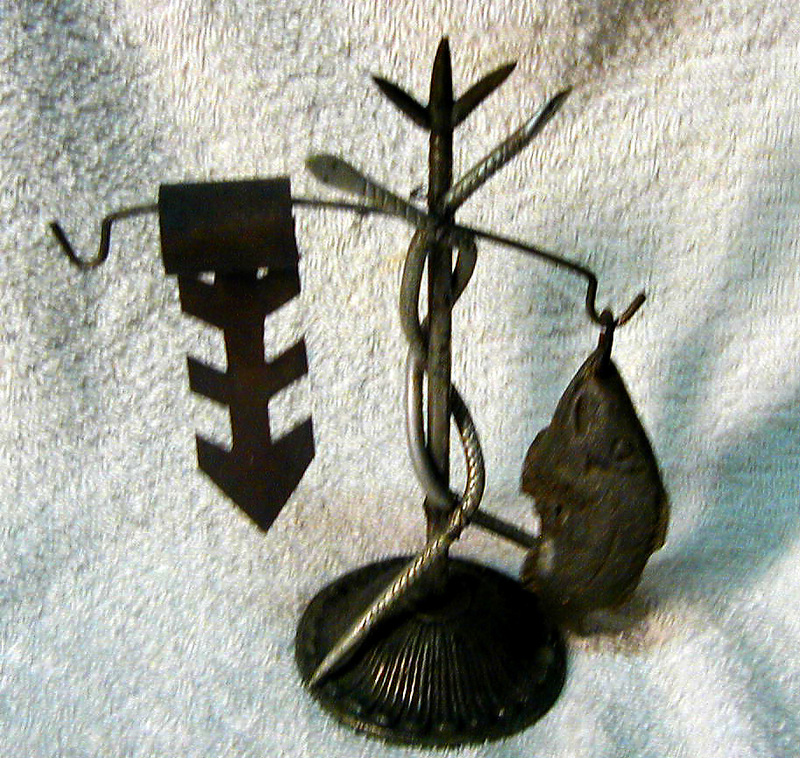 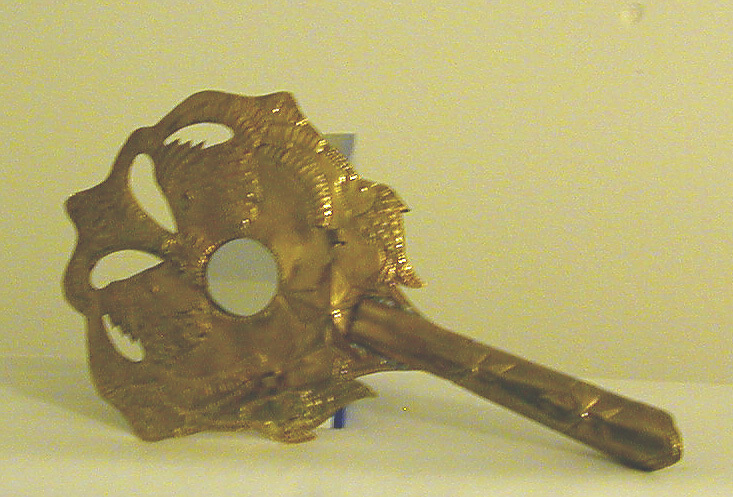 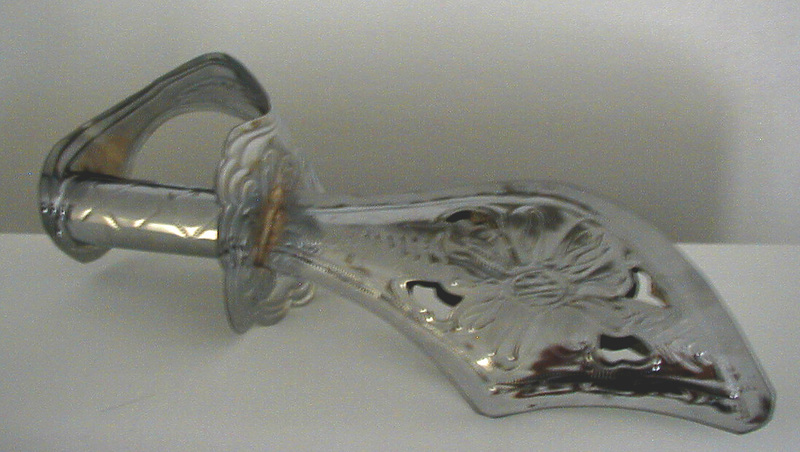 The chalice of the Holy Sacrament from the Catholic altar, usually depicted with bright rays stemming from the chalice, and the Eye of Divine Providence, similar to the Egyptian eye of Horus, were both attributed to Obatala and reinterpreted in terms that were acceptable and applicable to the Lukumi world vision.